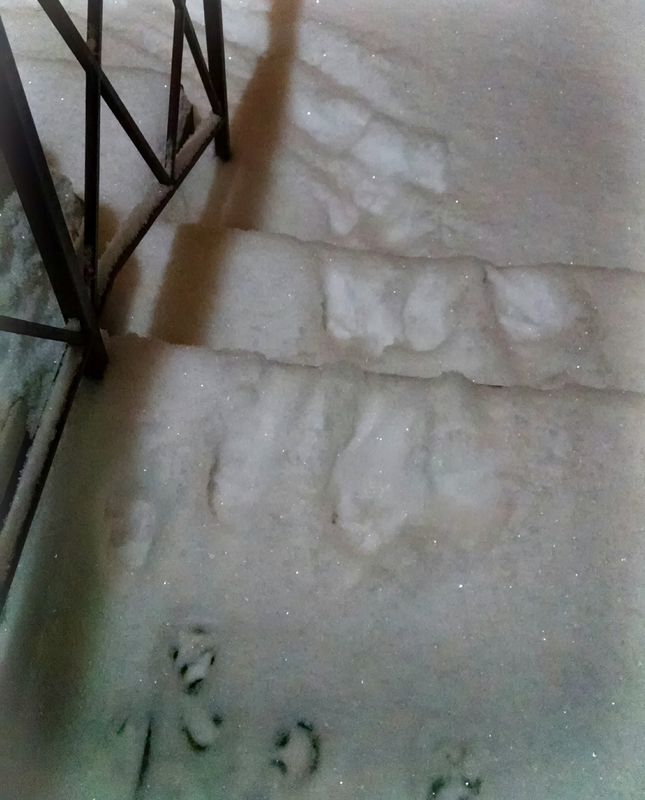 The first snow of 2015, along with the first doggie snowprints. 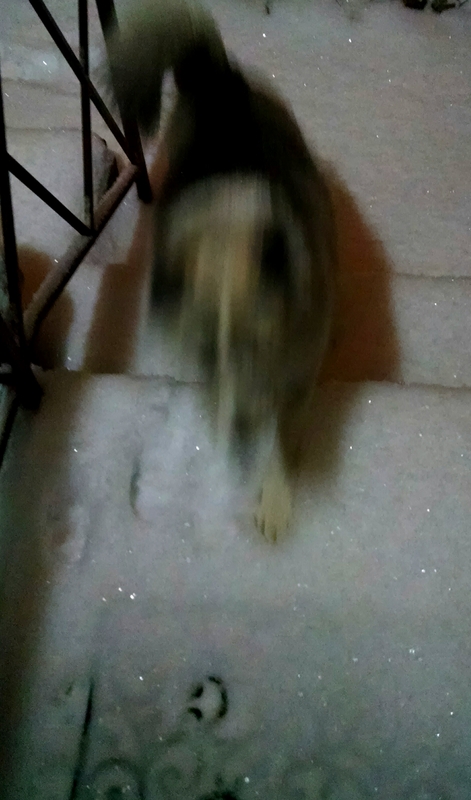 Our huskies often wake me in the wee hours, needing to run outside for some quick relief. Pun not intended, but it works. Early this morning, we all got to see the first significant snow of the winter. I’ve always loved the newness and sparkle of fresh snow, and been exhilarated to make first tracks, whether by ski or by boot. Our furry children seemed just as excited to get freshies on their way to the backyard. And here’s our younger one, Dakota, makin’ tracks.